Our Tool room is fully equipped to build anything from small stamping tools, prototype tools to large Progressive dies and Mechanical Transfer dies. This allows us to build stamping tools that produce small fasteners and anchors, mid-size core plates and harnesses, to large seat parts and frame assemblies. 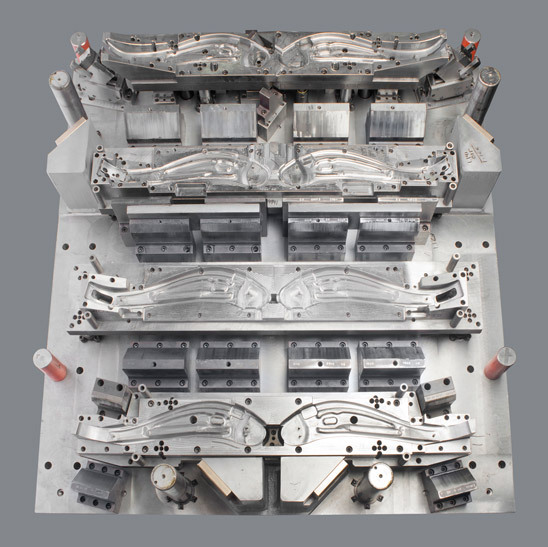 We specialize in stamping tools for the Automotive Industry, they include Sunroof systems, Seating Components, Structural Frames, Door Systems and Front-End modules. Our equipment is capable of supporting tooling try-outs ranging from 250 Tons to 1000 Tons, including Interchangeable Transfer Systems.